You have access to dozens of ITFM Reports. The IMF has a rich archive containing reports based on real-world experience participants can draw on as they address their issues and challenges. ITFM Reports are generated through speaker presentations at ITFM Forums, Web Forums, and IMF Connects. 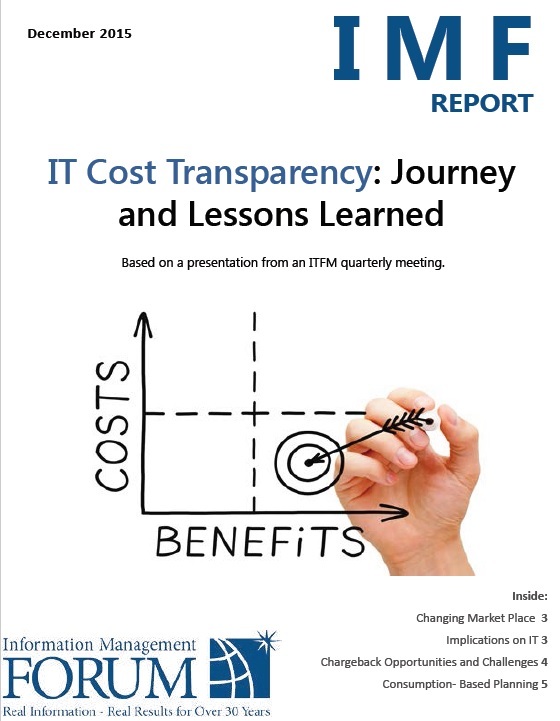 ITFM Reports cover topics across all aspects of IT finance. To download the report to the right in addition to other past reports please login to our website and visit the Reports section. Use the Search feature to find information on specific topics.